Endurbókun lokar – missið ekki af sýningunni í Gerðubergi! Síðasti sýningardagur á morgun, sunnudag 11. janúar. Athugið að aðeins er opið um helgar á milli kl. 13 og 16. 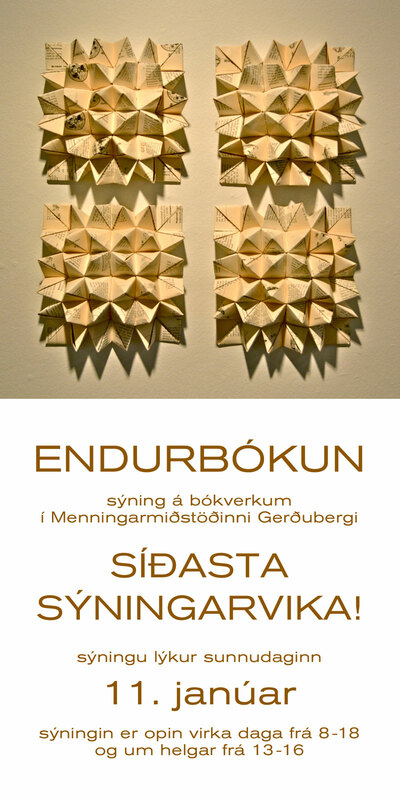 Last exhibition day of Endurbókun in Gerðuberg Culture Center tomorrow January 11th. Note that the center is only open between 1 pm and 4 pm in weekends. © Ljósmyndir / photos: Kristín Þóra Guðbjartsdóttir og Sigurður Stefán Jónsson. Gleðilegt ár! – Happy New Year! ARKIR óska vinum og velunnurum bóka gleðilegs árs og friðar. Við minnum á bókverkasýninguna ENDURBÓKUN í Menningarmiðstöðinni Gerðubergi, en henni lýkur n.k. sunnudag, 11. janúar. Myndir af verkum á sýningunni má sjá hér og hér. 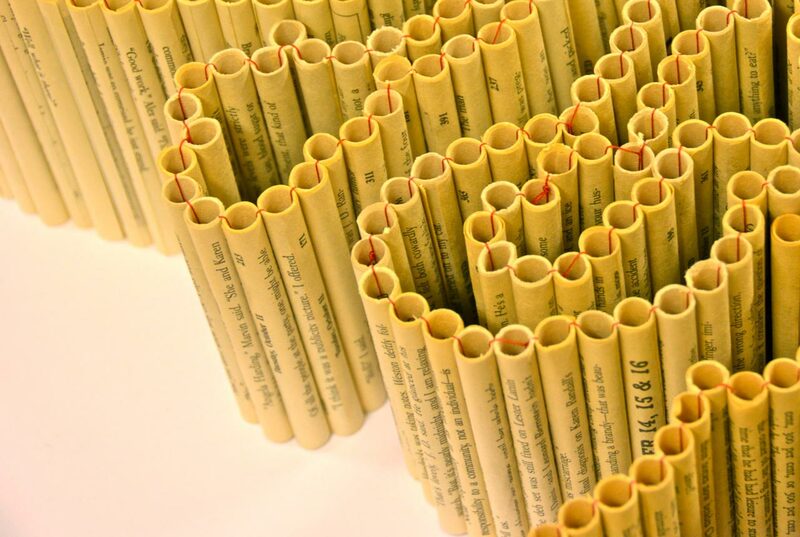 ARKIR wish you all a very happy New Year and merry bookart making in 2015! 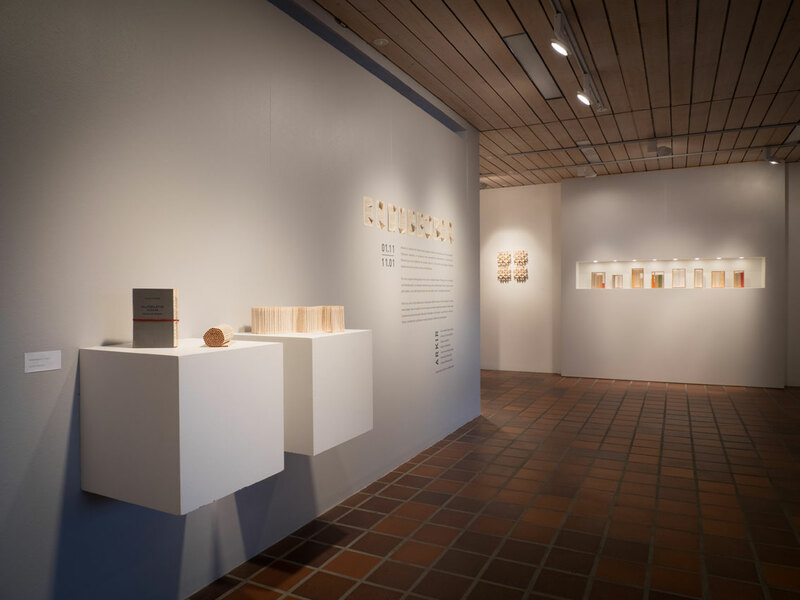 We would like to remind you that the exhibition ‘ENDURBÓKUN’ (RE-BOOKED) at Gerðuberg Culture Center is soon coming to an end. We encourage you to visit the exhibition before it closes on Sunday, January 11th. The exhibition is open fram 8 am to 6 pm Mon-Fri and 1 pm to 4 pm Sat-Sun. 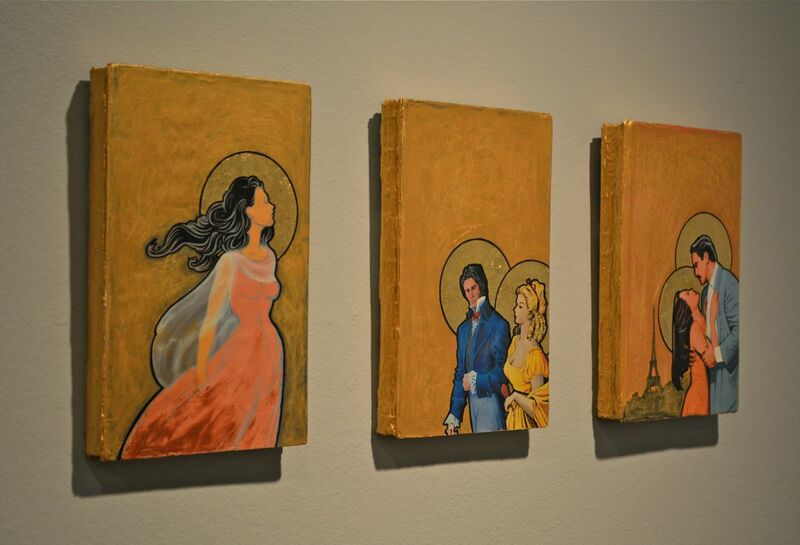 See our older blog posts with photos of works from the exhibition here and here. A week ago, I stumbled upon the question ‘Hvað er Bók?’ (What is a book? ), raised by Ómar Stefánsson in the anthology Bók um bók og fleira (1980). These three Icelandic words indicate redefining the book as an element of modern Icelandic book culture and ARKIR’s new exhibition titled ‘Endurbókun’ (Rebook) shows that reshaping and rethinking the book are ongoing processes in Iceland despite, or perhaps because of, the tremendous number of traditional Icelandic illuminated manuscripts. Just as ARKIR transform old books, theories can transform our perception of the book. Hence, to start my journey into the realm of Iceland’s book culture, I decided to import three theories that I am familiar with from other places into the context of Icelandic book art and to jot down some of my own thoughts. 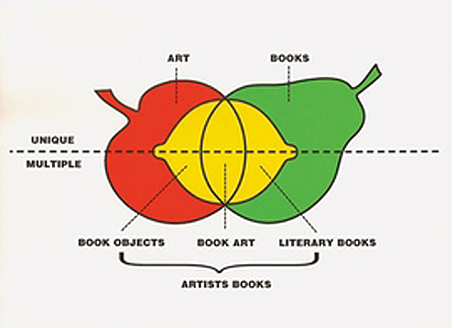 Clive Phillpot’s diagram from Booktrek. Source link. Systematization can be a valuable tool. However, more often than not, systems embody only one of many forms of perception. This is why I admire the fruits in this diagram by Clive Phillpot. Even though the illustration suggests that the fields of art and books can be subdivided and that there are discernible boundaries between book objects, book objects, book art and literature, the fruit imply that none of these definitions are set in stone. Phillpot, former director at the library of the MoMA, New York, played an important role in putting the artists’ book on the map. His starting point was the simple question of how to shelve and catalogue artist’ books in libraries since these books are neither exhibition catalogues nor literature or photography books. Sigurður Guðmundsson: Extension. (1974) Source link. 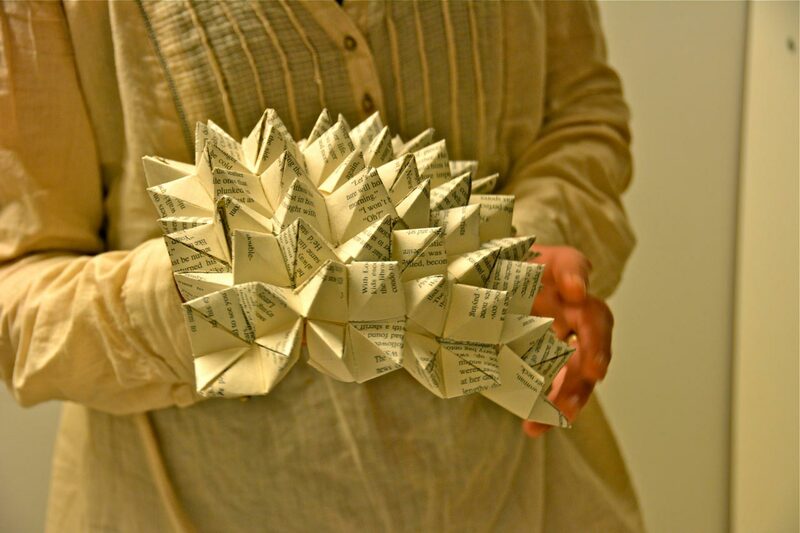 According to Phillpot, artists’ books are made by artists, or rather; the creator’s intention is to create art. 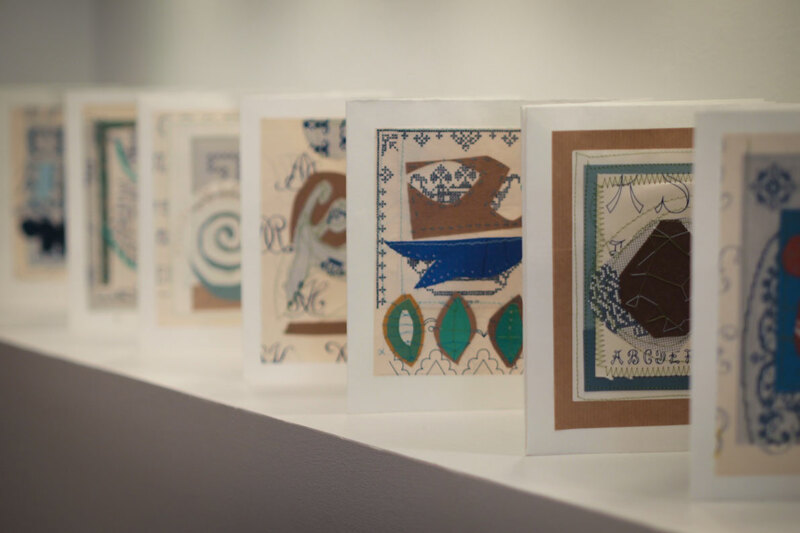 Furthermore, artists’ books are not simply carriers of ideas or pictures. The medium of the book is chosen intentionally: The book as an idea is an essential part of the work itself. 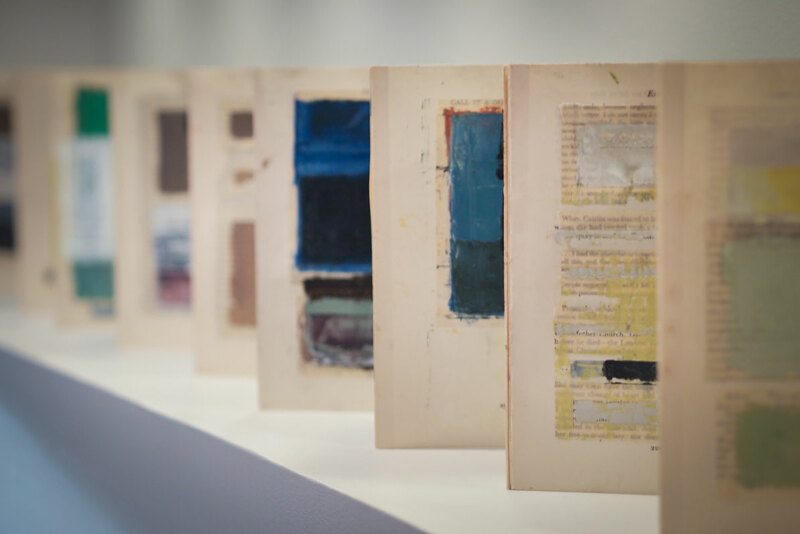 Thus, works that discuss the idea of the book, even when artists abandon the traditional shape of the codex, theoretically also fall into the category of book art. 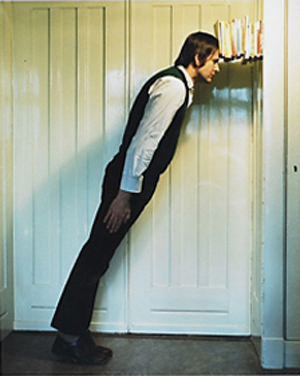 An historical example: Can Sigurður Guðmundsson’s photograph ‘Extension’ (1974) be considered book art? 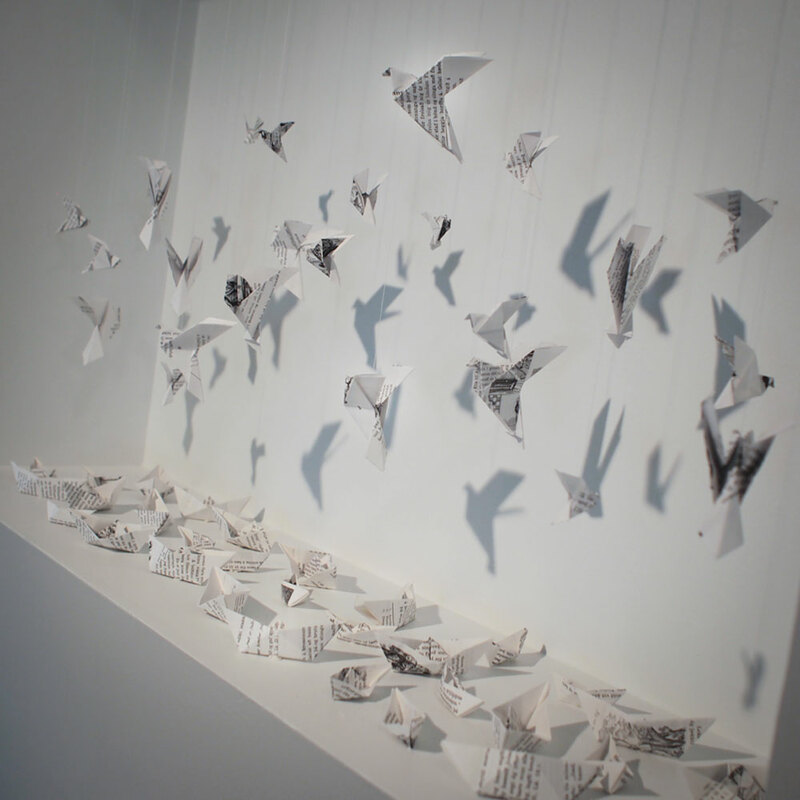 And what about ‘Orðaflaumur’ by ARKIR-member Ingiríður Óðinsdóttir? Is this work book art and / or a book? 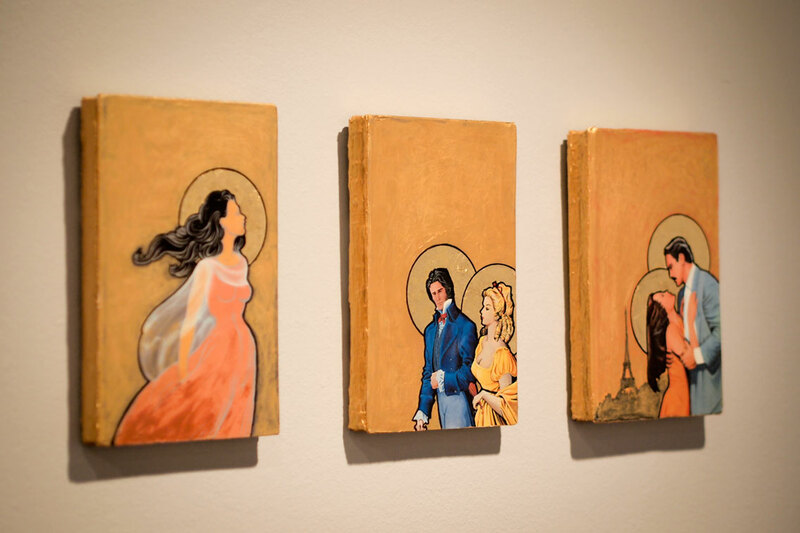 Intention and content are two ways to approach book art; contextualisation is another. Art historian Lucy Lippard emphasises the importance of context, for instance, in the anthology Six Years: The Dematerialization of the Art Object from 1966 to 1972 (1973). Lippard is the co-founder of Printed Matter, a bookshop in New York City centred around artists’ books, but her writing covers a variety of topics. 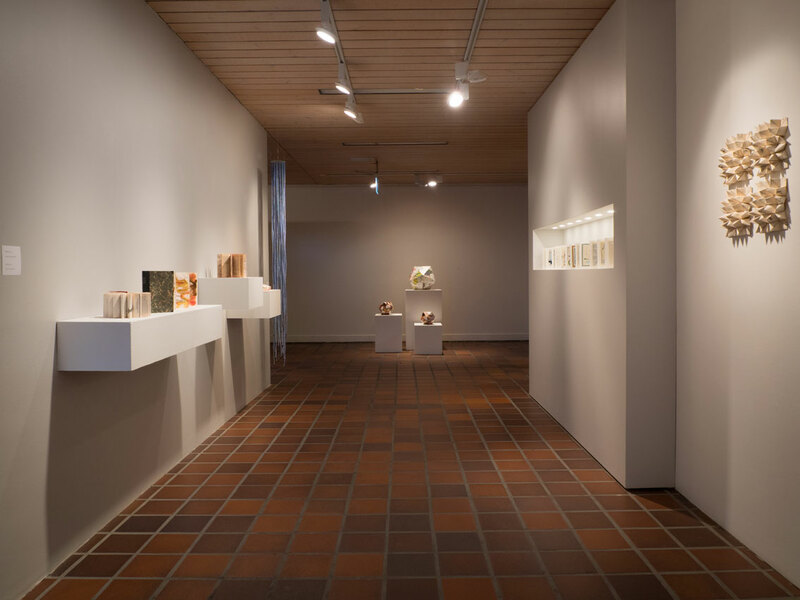 Concerning the contextualization of artists’ books, Lippard once wrote that a book shown in the art context cannot be called anything other than art. This sentence does not imply that the only relevant aspect for categorizing artists’ books is the context but, rather, Lippard’s attempt to enable artists who make books or write to call their works art even though the traditional notion of art when Lippard wrote her text did not include books and writing. From Ulises Carrión’s The New Art of Making Books. Source link. 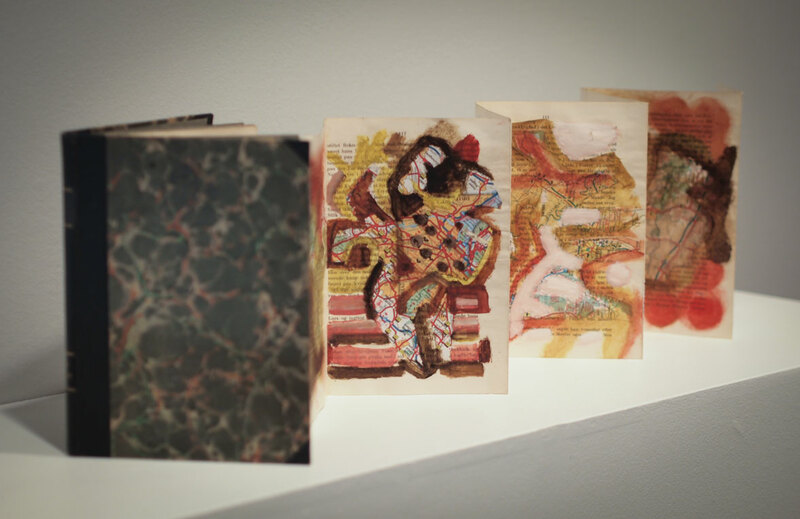 However, portability is an important aspect of the book and many artists’ books could be hidden in a bookshelf and still be perceived as artist’s books, unlike a ready-made that needs a specific surrounding. 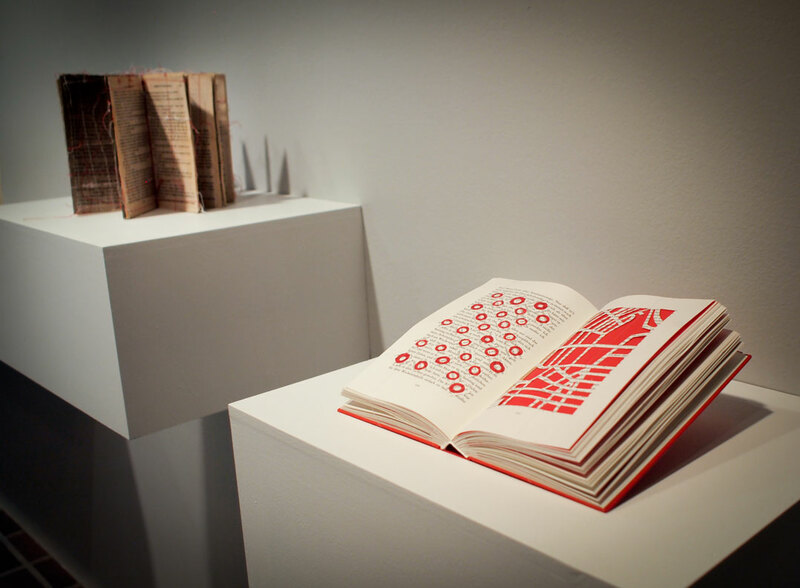 Intention, content and context are aspects that must be considered in distinguishing between book art and other books. The importance of these three aspects differs from book to book. 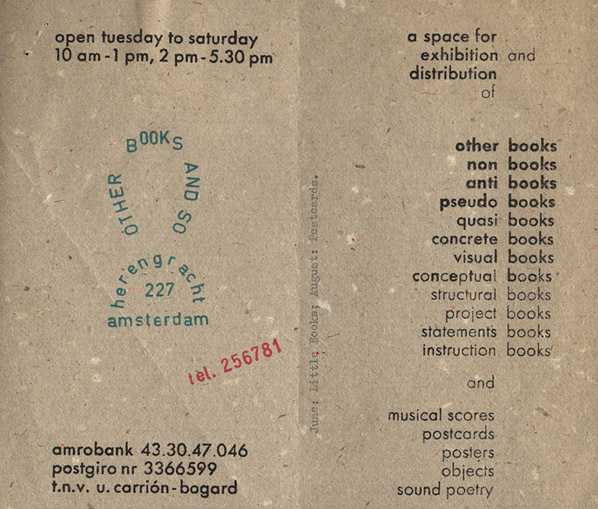 The last piece of writing that I will mention in this text is Ulises Carrión’s The New Art of Making Books (1975). This text is a great read because Carrión manages to combine the derivation of terms with poetry. Carrión points out the difference between a written text and a book, and defines the book as a space-time sequence. Thus, according to Carrión, performance, movement and interaction are important aspects of the book. This idea leads to an interesting question: Is it necessary to touch a book and flip through it in order to experience it fully? 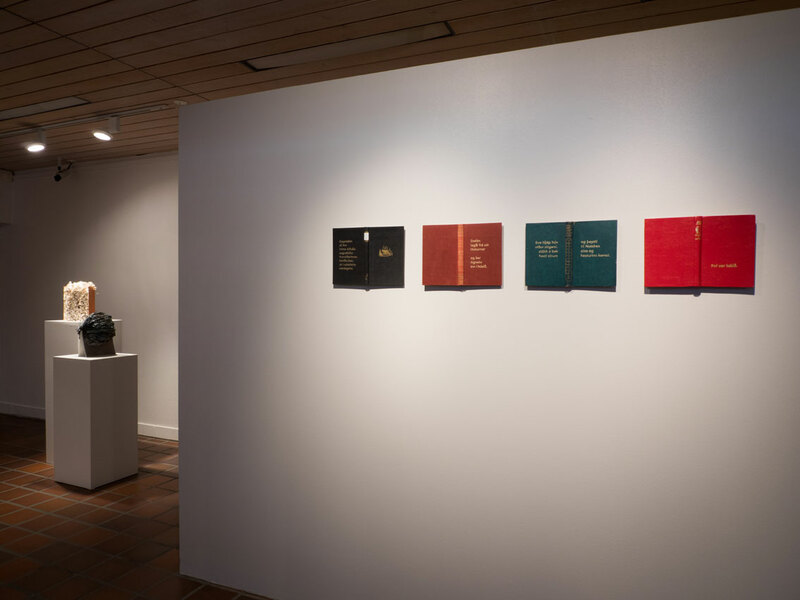 What happens if we aren’t able to open a book anymore because the pages are glued together, for instance the work ‘Helgimyndir’ by Áslaug Jónsdóttir? The place where you stumble upon a book, the surrounding objects, the books you have read or looked at right before you found this one, the conversations you have had before or have while looking at an object, the reason you are looking at this particular book at this particular moment create your perception. These preconceptions are often, sometimes intentionally, not considered by those who write and think about art and books. Just as fluency can be an important aspect of the book—for instance, the movement of pages or the eyes scanning the page, and those small experiences blend into each other and create a story, experience or something else—the perception of a single copy is influenced by our overall perception of book culture as well. Looking at the various photographs available on this blog or visiting the exhibition, you will see how differently the members of ARKIR deal with the medium of a book, even though in the case of ‘Endurbókun’ they all started by using old books, mostly from Gerðuberg Library, and how the traditional shape of the book is sometimes intentionally replaced by something else and construction and de-construction go hand in hand. 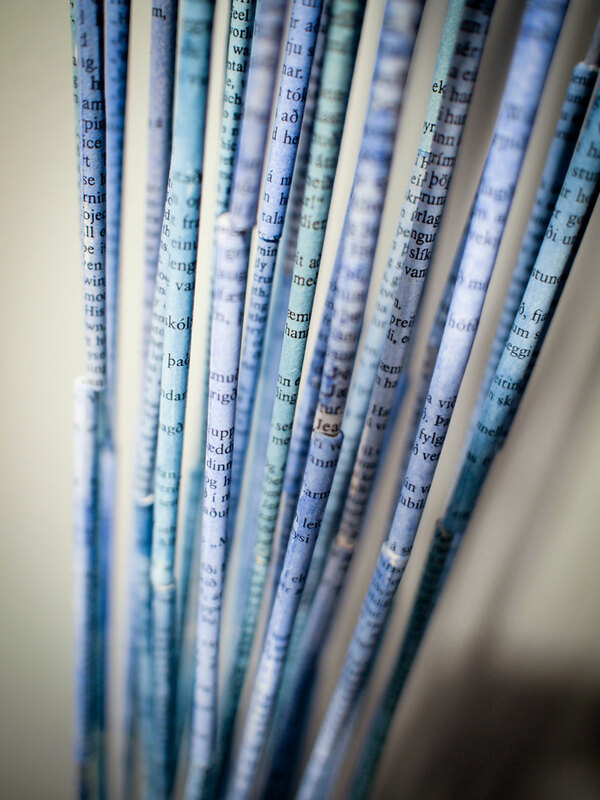 Theories are great and playing with words and definitions is an interesting aspect of book art. Nevertheless, the best approach to artists’ books might be: Find out for yourself, create your own image of the book and let yourself be surprised. Open books, read them, see them, experience them! Hér á vefsíðu ARKANNA hefur okkur lengi langað til að birta greinar um bókverk og bókalist, en skrif okkar hafa hingað til einkennst af stuttum fréttapistlum og myndbirtingum af störfum hópsins. Þegar ARKIR komust nýverið í kynni við bókafræðinginn Lara Wilhelmine Hoffmann vildum við gjarnan að fleiri mættu njóta þekkingar hennar og hugmynda um bókverk. Við birtum nú fyrsta pistilinn frá henni. Lara á rætur að rekja til Kölnar i Þýskalandi en hún nam bókafræði og listasögu í Mainz, vöggu bókaprentlistarinnar, hvar Jóhannes Gutenberg starfaði og gerði sínar merku uppfinningar. Við birtum gjarnan góðar greinar um bókverk! Hafið samband með netpósti á: bokverk[hjá]gmail.com. We have a guest blogger! 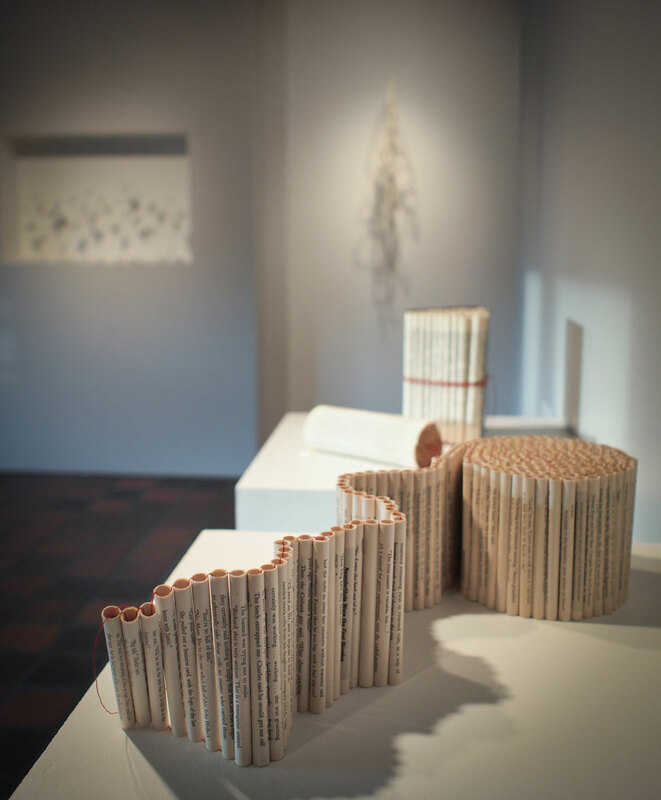 We welcome Lara Wilhelmine Hoffmann and her thoughts on Icelandic book art. Lara Wilhelmine Hoffmann was born and raised in Cologne, Germany, and studied Book Studies and Art History in Mainz, the city where mechanical movable type printing was invented by Johannes Gutenberg. 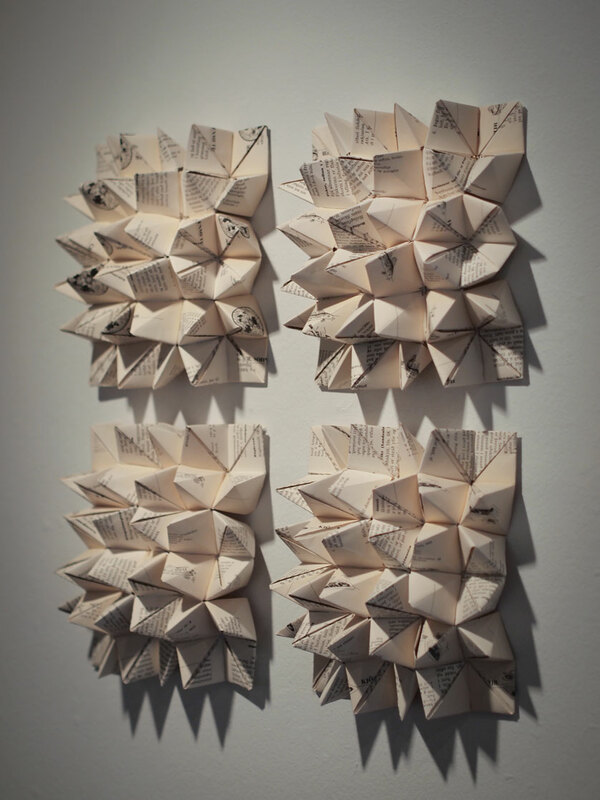 Her research interest lies at the intersection of contemporary book culture, language and art. She is currently based in Reykjavík pursuing her interest in arctic dwarf birches and writing both fiction and nonfiction. Sýningin ENDURBÓKUN sendur nú yfir í menningarmiðstöðinni Gerðubergi. Sýningin opnaði 1. nóvember s.l. og stendur til 11. janúar 2015. Verk á sýningunni eiga: Anna Snædís Sigmarsdóttir, Arnþrúður Ösp Karlsdóttir, Áslaug Jónsdóttir, Ingiríður Óðinsdóttir, Sigurborg Stefánsdóttir, Svanborg Matthíasdóttir og Kristín Þóra Guðbjartsdóttir, sem einnig er sýningarstjóri. 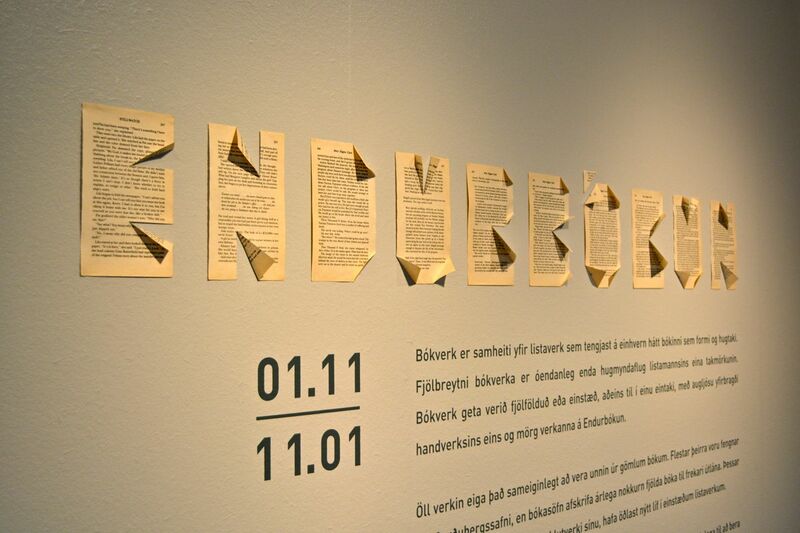 The book art exhibition ENDURBÓKUN / RE-BOOKED is now ongoing in Gerðuberg Culture Center. The exhibition will remain open until 11. January 2015. Participants are: Anna Snædís Sigmarsdóttir, Arnþrúður Ösp Karlsdóttir, Áslaug Jónsdóttir, Ingiríður Óðinsdóttir, Sigurborg Stefánsdóttir, Svanborg Matthíasdóttir and Kristín Þóra Guðbjartsdóttir, who also is the exhibition curator. Tenglar á efni um sýninguna – More about the exhibition: Gerðuberg. ARKARvefurinn: Fyrri póstar – Previous posts on ENDURBÓKUN. ARKIR opnuðu bókverkasýninguna ENDURBÓKUN í menningarmiðstöðinni Gerðubergi á Degi myndlistar 2014, 1. nóvember s.l. Við þökkum gestum okkar kærlega fyrir góðar viðtökur á opnuninni. Sérstakar þakkir fær starfsfólk í Gerðubergi – og auðvitað sýningarstjórinn okkar: Kristín Þóra Guðbjartsdóttir, sem reyndar var fjarri góðu gamni á laugardag. Sýningin stendur til 11. janúar 2015. Myndir af verkum á sýningunni má sjá hér. RE-BOOKED! The exhibition opening in Gerðuberg Culture Center last Saturday went well. Our guests were merry and we were certainly happy about it all. Many thanks to all the staff at Gerðuberg and of course our exhibition curator Kristín Þóra Guðbjartsdóttir, who sadly couldn’t join us at the opening. Below: photos from the opening. To see artwork from the exhbition click here. The exhibition at Gerðuberg is open until 11. January 2015. ARKIR opna bókverkasýningu í menningarmiðstöðinni Gerðubergi, á morgun, laugardaginn 1. nóvember kl. 14. Öll verk á sýningunni eiga það sameiginlegt að vera unnin úr gömlum bókum. Flestar þeirra voru fengnar hjá Gerðubergssafni, en bókasöfn afskrifa árlega nokkurn fjölda bóka til frekari útlána. Þessar gömlu bækur, sem lokið hafa hlutverki sínu, hafa öðlast nýtt líf í einstæðum listaverkum. Sjö ARKIR eiga verk á sýningunni: Anna Snædís Sigmarsdóttir, Arnþrúður Ösp Karlsdóttir, Áslaug Jónsdóttir, Ingiríður Óðinsdóttir, Sigurborg Stefánsdóttir, Svanborg Matthíasdóttir og Kristín Þóra Guðbjartsdóttir, sem einnig er sýningarstjóri. Lesa má um sýninguna á vef Gerðubergs hér. Verið velkomin á sýningaropnun! We are almost there! 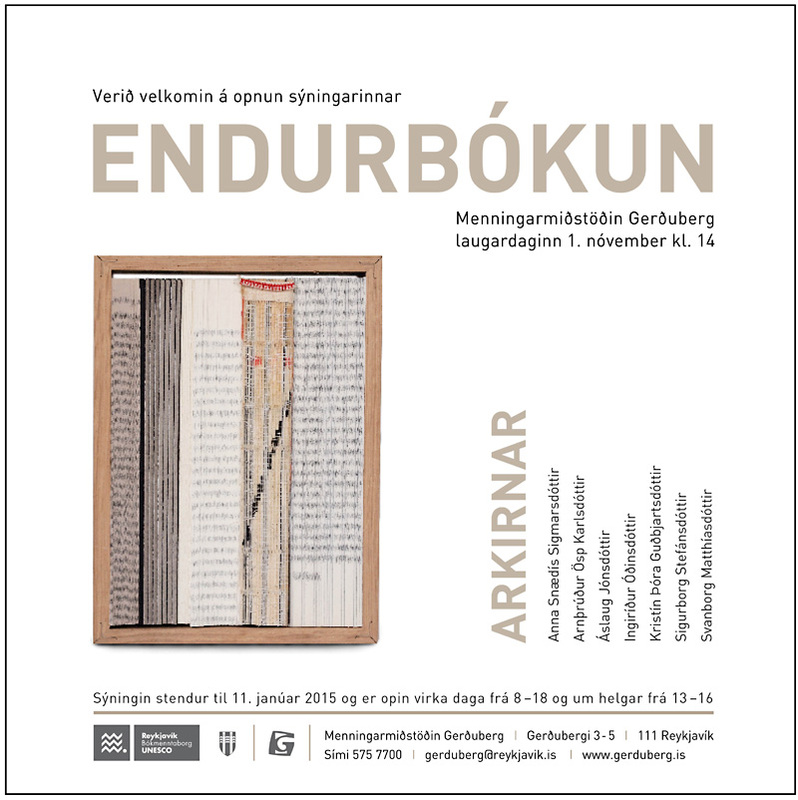 ARKIR are opening a new book art exhibition at Gerðuberg Culture Center tomorrow, Saturday November 1st, at 2 pm. 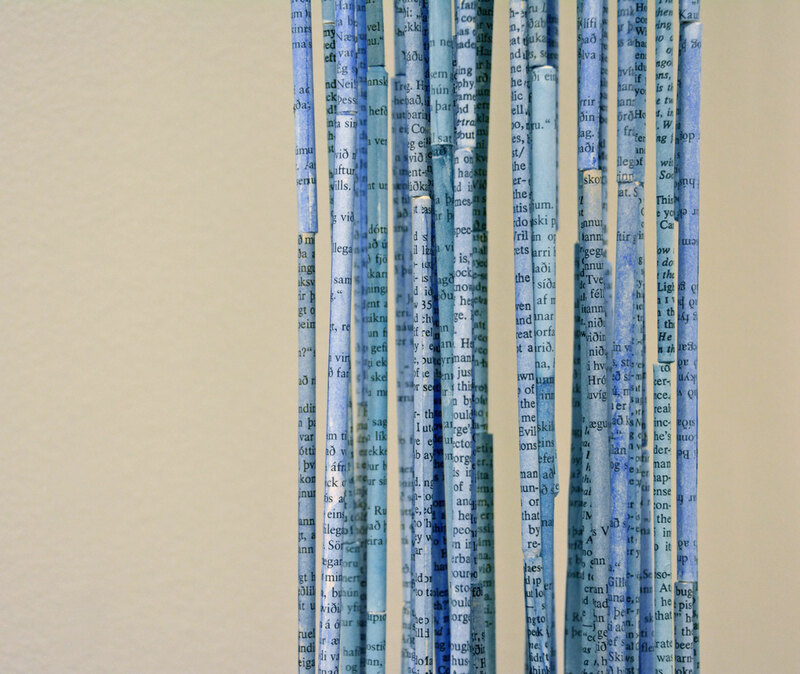 All the works are created by using old books, mostly discared books from Gerðuberg Library. 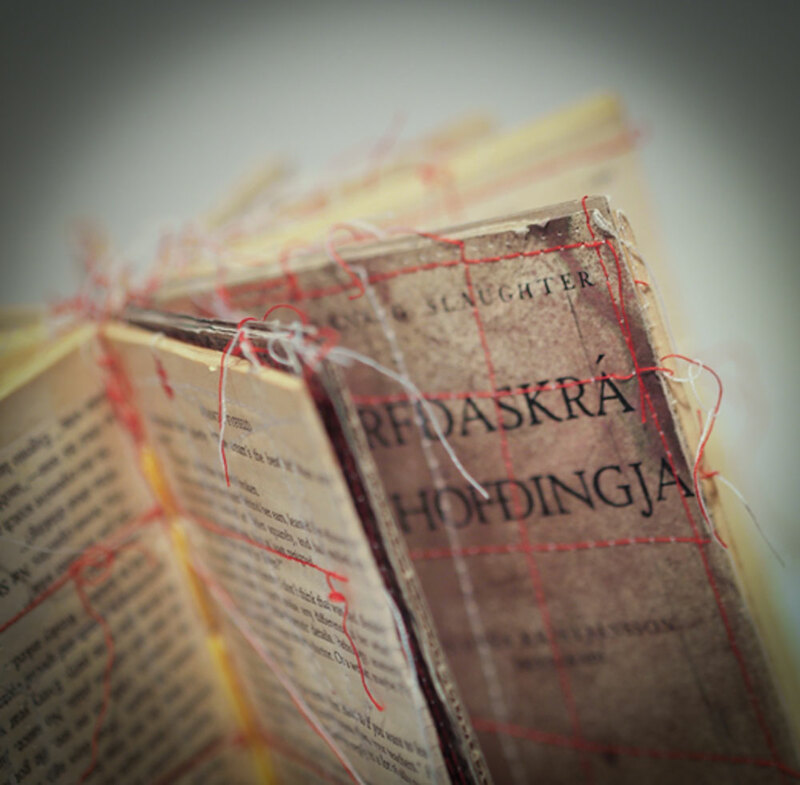 The title of the exhibition is “Endurbókun” or: Re-book. Seven ARKIR-members show their works: Anna Snædís Sigmarsdóttir, Arnþrúður Ösp Karlsdóttir, Áslaug Jónsdóttir, Ingiríður Óðinsdóttir, Svanborg Matthíasdóttir, Sigurborg Stefánsdóttir and Kristín Þóra Guðbjartsdóttir, who also is the exhibition curator. Join us tomorrow at the opening! Links to Gerðuberg website: here and here. ARKIRNAR undirbúa nú verk fyrir næstu sýningu sem opnuð verður í Gerðubergi 1. nóvember og ber nafnið Endurbókun. Vorið 2013 höfðum við samband við bókasafnið í Gerðubergi og snemma sumars fengum frá þeim efnivið í sýninguna: bækur sem afskrifaðar hafa verið til frekari útlána. Við sögðum frá því í pósti hér. Meðfylgjandi myndir sýna brot og smáatriði úr verkum sem ARKIR eru að vinna að fyrir sýninguna. Smellið á myndirnar til að stækka! ARKIR are working on a new exhibition that will open in Gerðuberg Culture Center in November. The earliest preparations started already in the spring 2013 when we received a stack of boxes and big bags full of discarded library books from the City Library in the center. We wrote about it in a blog post here. Since then we have had other projects and exhibitions to attend to but now we are focusing on “Endurbókun”or: Rebook. The photos show details and fragments from the works that are under process. Click on the images for larger view!